Quantity and quality don't always go hand in hand when building a popular game. Fans are usually considered a good thing, especially if you’re a game developer—and that goes double if you’re making one of the most popular games around. Fans are your lifeblood: they buy microtransactions, load up your game, participate in your events, buy tickets to your esports events, treat themselves to merch, and drive up your social media engagements. Without fans, League of Legends would be a game long dead and forgotten. This is especially true considering the early days of League, where the servers were constantly struggling and Riot was in earnest a smaller indie studio trying to get off the ground. 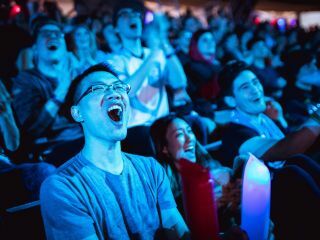 As League of Legends grew and developed from a small competitive title into a multifaceted product that can consume your entire life, Riot’s approach to how they handle their fan base has changed with it. Once a transparent company, Riot is building some barriers to protect themselves and (hopefully) build a better game. League of Legends’ position as a free to play game puts it in an unusual position, where they have relied on microtransactions and fan goodwill since the game’s launch. This has very obviously paid off for them, in both a financial and a loyalty sense. You can (in theory) play League of Legends without spending a dime, but very few people make it through that gauntlet without dropping some cash. It’s a business model that has paid off richly for Riot, and then they turned around and invested that cash in... well, quite a lot. There’s the LCS (production, staff, team salaries, and maintenance costs), multiple offices and branches, constant videos and marketing... All of this adds up, and a big part of it is paid for by you and me, every time we pick up some RP. Eventually, League of Legends’ word of mouth changed. People went from explaining that the game was fun, to talking about the toxic community. League wasn’t just dealing with your garden variety level of trash talk and insults; the player base was infamous for being defensive, hostile, and throwing out slurs and deeply personal insults. Most fans chose to roll with this, and considered it part of the cost of a free game. Most players shared examples of the trash talk they found personally amusing, vented to friends, and moved on, but other players (usually the ones on the receiving end of it) were more vocal. Some players begged for better report options, or quit the game altogether. In 2014, the video “I Love League of Legends But I Hate Playing the Game” went viral. The spoken word video by Jesse Chisholm and KodeVu detailed the emotional hell of playing the game. “I already have five enemies on the other team, so why do I have to deal with four more on mine?” spoke to a lot of these players. Riot, at a certain point, had to make a tough call about what kind of player base they wanted in their game. The people who queue into a game on a fancy, expensive new skin and go 10/0/4 are definitely League fans, and they’ve supported Riot... but what if they spend their games calling someone cancer and throwing our slurs? Riot made the decision, as a company, that this was unacceptable. These days, a good amount of Riot’s punishment is done via automated process. Reports from other players, and key phrases in chat, will automatically clean up hostile players—and if they keep that behaviour up, they’ll be swept right out of the game permanently. There is no check to see how many skins that person owns, or how long they’ve been playing. There’s one standard of behaviour, and either you meet it, or you don’t. Riot had to realize that they’d be alienating some fans with this policy, but at a certain point, quality matters more than quantity. Not every fan who can cause Riot a problem is a slur slinging flamer who’s running it down mid. Some people still have their accounts, post on the official forums or on Reddit, and can still be a problem for Riot to deal with. Consider, if you will, Magma Chamber. Riot shared a Work in Progress map that was eventually scrapped... and every time something new came out, or they had a PR stumble, fans would show up and demand more information on Magma Chamber, or sarcastically remark that of course the company had these problems, they couldn’t even make a map. The end result is that the company needs to carefully manage releases and fan base interactions. Being transparent and engaging is great, and the company’s goal, but one employee’s comment can come back to bite the entire company down the road. Riot very badly wants to come across as a “fun” company, staffed by people who care about you and your games... but they also need to keep in mind that everything they write as a representative of the company can be screenshotted and weaponized down the road by an angry fan. Riot not only has to worry about digital communities, but physical ones. Take the MSI finals, when SKT T1 bested G2 Esports in a 3-1 series. After the match, SKT started to hug... and found themselves joined by a random fan who had gotten on stage. The guy wasn’t malicious, he was carried away and having a great time. He was a fan, in the purest sense in the word—and he had caused a security incident on stage with the top players in the world. Riot is at a point where they don’t need to worry about accumulating more fans. They need to focus on maintaining their existing fanbase, and sometimes that means building barriers. Removing chunks of the fanbase via moderation, or carefully moderating their public statements can’t be pleasant to do, but hopefully—much like cutting the dead branches off a plant—the end result is a healthier community, and hopefully that brings new players in.